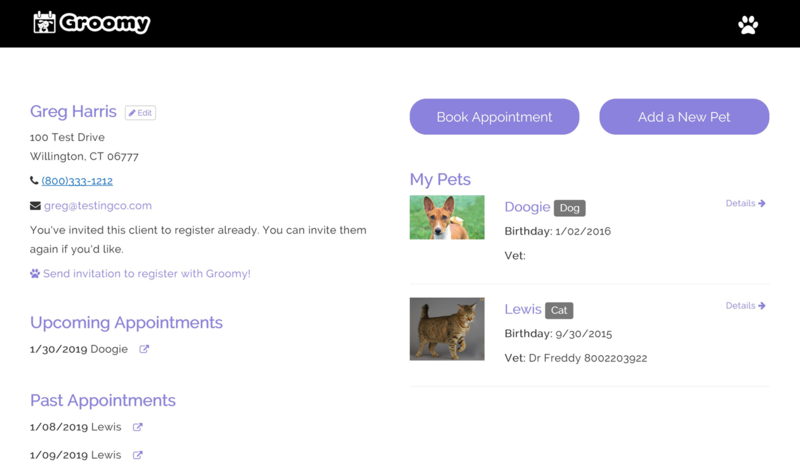 A simple, yet elegant CRM and online booking tool for pet grooming businesses. Spend less time trying to figure out availability and following up with customers and spend more time actually grooming pets! Give customers the convenience they expect by allowing them to book appointments 24/7 and from their mobile devices. Secure your customer and schedule data by storing it in the cloud. Download and/or print for additional backup at your location. Gain quick insights into business trends and patterns. 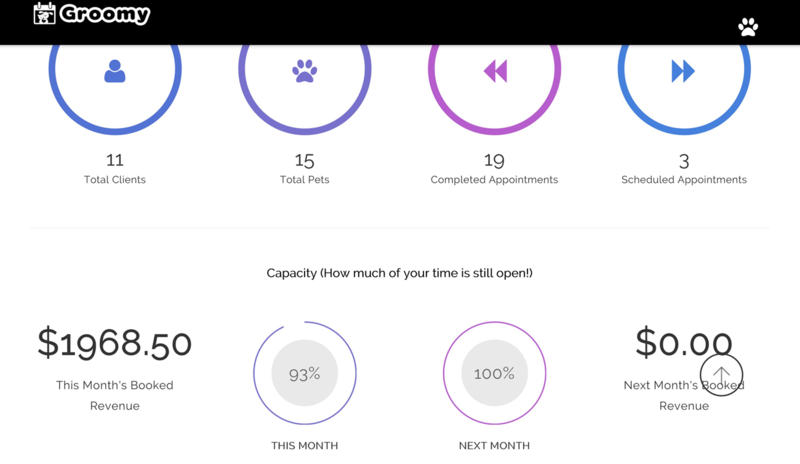 Access client and pet appointment history anytime/anywhere. 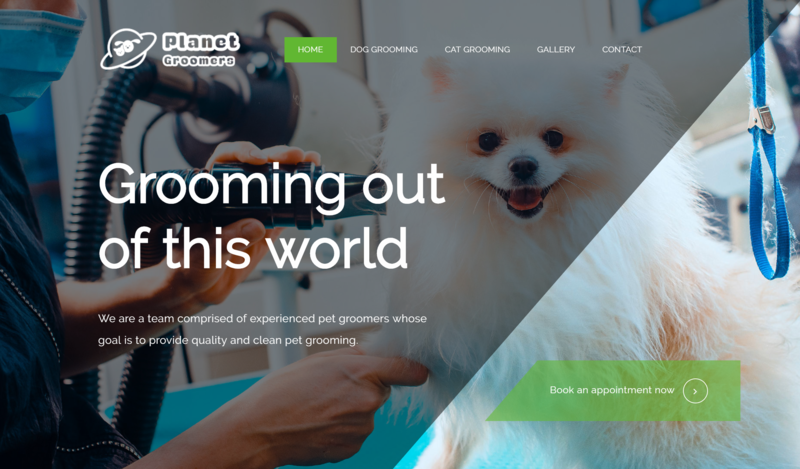 Our goal with Groomy was simple - make booking easier for Pet Groomers.We've included all features needed for a pet groomer's business to operate smoothly. Our feature list was developed based on the recommendations of experienced groomers. Groomers able to set their own schedules and book clients with proper time based on their services. Access to profiles of clients and pets and entire appointment history from any device. 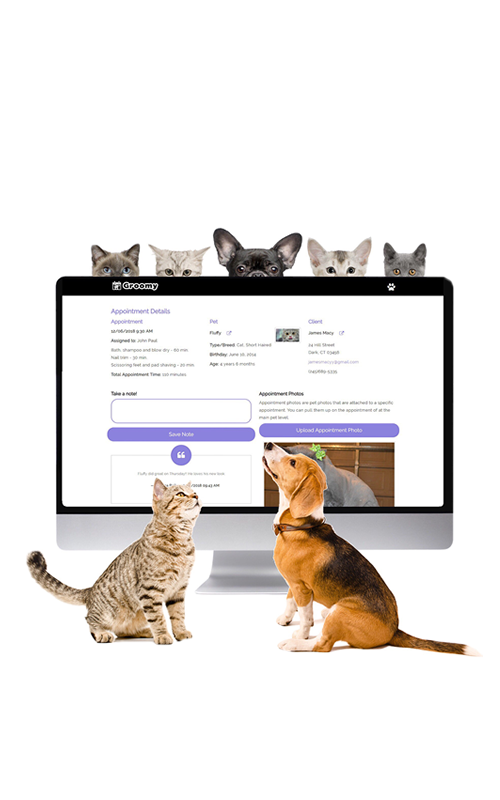 Customers can complete their pet's profile. They can choose the time slot and groomer that works best for them. Optional email and text notifications help customers remember and keep appointments, reducing missed appointments. 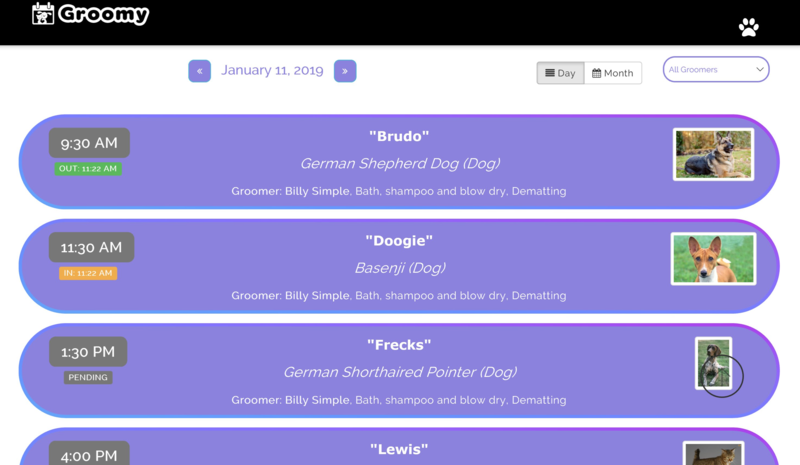 Groomy PLUS introduces fun and friendly pet grooming sites personalized just for your shop. Integrated with Groomy, it's never been easier to show off your shop and get business booked fast! We'd love to hear from you via email, phone or in person! Or, fill out our contact form below and someone will get back to you shortly.